I’d just like to start out by saying I am so glad this book exists. When I first heard about Star-Crossed and discovered it was LGBTQ+ Middle Grade, I was over the moon. I tried to keep my expectations in check, but I was excited, and luckily this book exceeded my expectations. When I was twelve I was obsessed with Romeo and Juliet. The Leo DiCaprio/Claire Danes movie version had just come out and I bought myself a copy of the play to read. While I see the story’s faults as an adult, I loved it back then, so I know I would have loved this book and its many creative parallels to Shakespeare’s story. I loved the way the author took a well-known story and made it something new and fresh not only with its middle school setting, but also by having the role of Romeo be a young girl, Mattie, who was questioning her budding feelings for Juliet, or in this case, Gemma. For so many reasons, I wish I’d had this book as a tween or young teen. It would have been nice to see a character like myself, uncertain and questioning. It’s so important to have books like this in schools and libraries, where kids can seek them out and find characters like themselves - or like their friends or family - in the pages. I appreciated how it was completely age-appropriate and dealt with other real-life issues as well as Mattie’s growth, plus - my favourite part - the realization that it’s okay to like whoever you want, whether that’s boys or girls or both. I’ve read so few books with positive bisexual rep, and the fact a Middle Grade book not only did it, but did it so well makes me incredibly happy. Star-Crossed is a sweet, funny, touching story with a relatable and memorable main character as well as a wonderful cast of side characters. It took me back to my own middle school days of obsessive, confusing, angsty, all-consuming crushes and navigating school and friends and family life. I loved that Mattie’s bisexuality wasn’t something for her to ‘overcome’ or this big, shameful thing - it was just another part of her, albeit a confusing part as she figured things out. I’d love to see books like this as required reading for tweens and young teens, whether they’re gay, straight, or anywhere in between, and I also think it’d be a great book for teachers and parents to read. 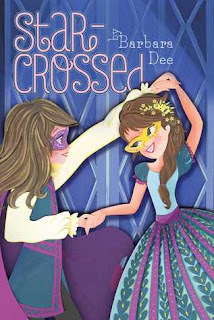 I’ve been recommending Star-Crossed a lot since I read it and I’ll continue to do so! 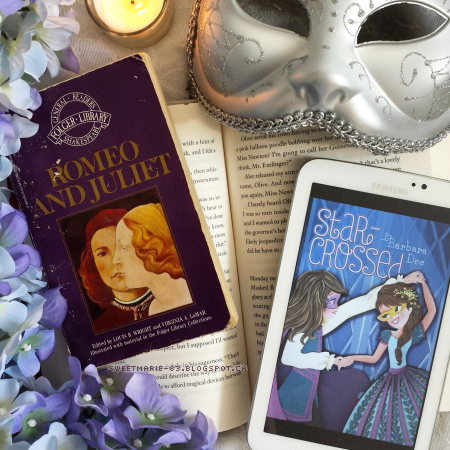 Have you read Star-Crossed? What did you think? If you haven't read it, do you plan to? Have you read any other Middle Grade books with LGBTQ+ characters?